Sensation prevailed in Majuli, the river island district of Assam after a resident of Kharkati village was found murdered by unidentified miscreants under mysterious circumstances on Sunday. According to information, a local resident Someswar Bharali of Kharkati village in the district had gone to watch bhaona to the nearby village of Pahumara on Saturday evening. After he did not return till Sunday morning, locals went out to search for him and found his abandoned motorcycle at the compound of one resident of the village. When the locals intensified their search, the mutilated body of Someswar Bharali was found floating in a nearby pond of the village. His body bore injury marks made by sharp weapons all over the body. Meanwhile, police from the Jengraimukh police station have arrived at the scene of the crime and begun investigation into the mysterious murder. Police recovered a sharp weapon presumably used in the crime was recovered from near the pond. 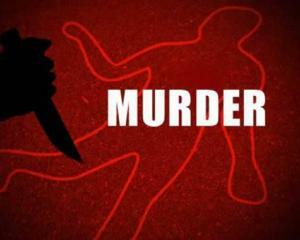 Locals suspect that some miscreants murdered the victim and had thrown the body into the pond. Meanwhile, a sense of terror has gripped the entire area. The victim Someswar Bharali, aged around 27 years leaves behind his wife and two minor children.